All tickets are general admission and available for $13 plus applicable fees. Doors will open at 7 p.m. and early arrivals will be treated to a performance by the WVU Bluegrass and Old Time Band in the lobby prior to the show. Chuck Roberts, WVPB executive director and CEO, said an event of this magnitude wouldn’t be possible without support from PBS and collaboration with WVU’s College of Creative Arts and Reed College of Media. He said everyone involved in organizing the event recognizes its importance. "Country music has flowed through West Virginia since before the genre had a formal name," Roberts said. "Our history is steeped with a respect and love for this kind of music and it is ingrained in who we are. We are honored to be able to present a fantastic event celebrating the film and our state’s unique place in country music history with the help of our partners and sponsors. "I encourage everyone to come out for this special experience. There is really no better place West Virginians should be that Tuesday evening in April," Roberts said. Burns, Duncan and Dunfey spent eight years researching and producing the film, an eight-part, 16-hour documentary premiering on West Virginia Public Broadcasting television September 15 at 8 p.m. They conducted interviews with more than 100 people, including 40 members of the Country Music Hall of Fame. Written by Duncan, the documentary chronicles country music’s early days, from southern Appalachia’s songs of struggle, heartbreak and faith to the rollicking Western swing of Texas, California’s honky-tonks and Nashville’s "Grand Ole Opry." Duncan said he can’t wait to tell the tale of West Virginia’s impact on country music. "West Virginia — its artists, its radio stations, and its fans –– has had a significant influence on the evolution of country music," Duncan said. "We were thrilled to interview Little Jimmie Dickens, Connie Smith, Kathy Mattea and Charlie McCoy to tell their stories — and the life of Hawkshaw Hawkins is an incredibly moving tale. I’m particularly happy that Kathy and Charlie will be there to perform as well. 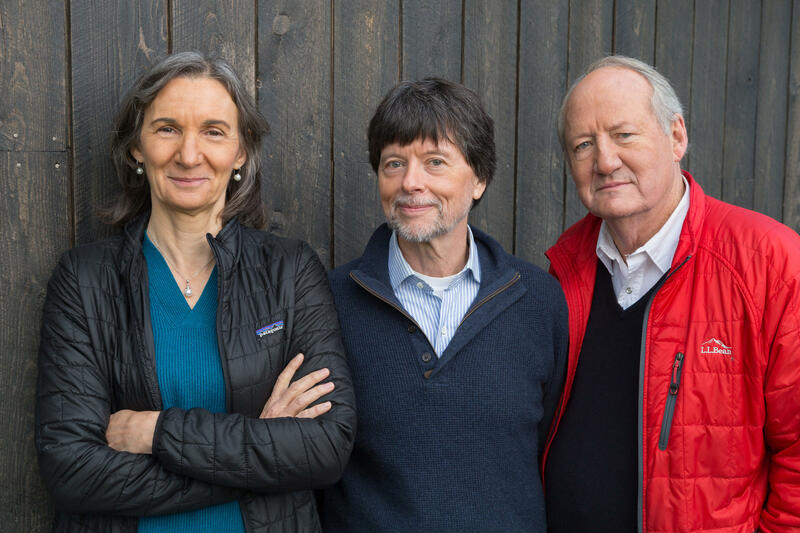 Julie Dunfey, Ken Burns and Dayton Duncan spent eight years researching and producing the film, "Country Music: A Film by Ken Burns." West Virginia Public Broadcasting will present West Virginia-specific clips from the film during a special Morgantown screening that also will feature live performances by Mountain State music legends Kathy Mattea and Charlie McCoy. Dayton Duncan is the lead producer and writer of "Country Music" and has been involved with the work of Ken Burns for more than 25 years on films including "The West," "Lewis & Clark: The Journey of the Corps of Discovery," "Mark Twain," "Horatio’s Drive," "The National Parks: America’s Best Idea" and "The Dust Bowl." Duncan also has served as a consultant or consulting producer on all of Burns’s other documentaries, beginning with "The Civil War" and including "Baseball," "Jazz," and "The War," among others. He has authored 13 books, worked in both New Hampshire and national politics. Julie Dunfey began her association with Ken Burns as a co-producer of "The Civil War." Most recently, she was a producer on "The National Parks: America’s Best Idea," "The Dust Bowl" and now, "Country Music." Along with Burns and Duncan, she was nominated in 2013 by the Producers Guild for Outstanding Producer of Long-Form Television. 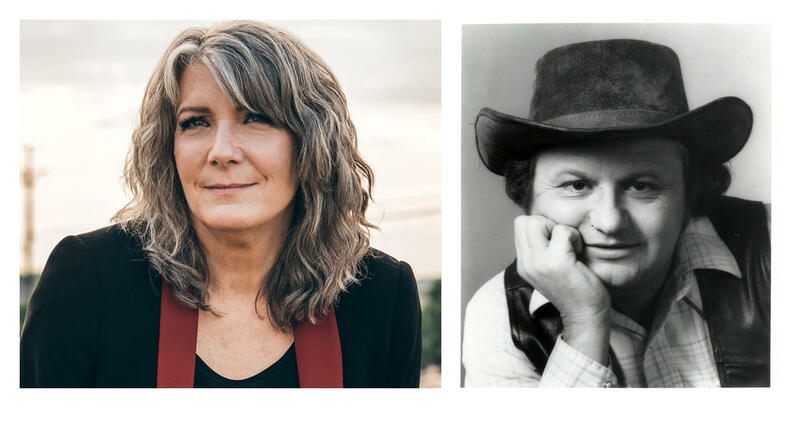 West Virginia country music legends Kathy Mattea and Charlie McCoy will perform live in Morgantown April 16 at the WVU Creative Arts Center during West Virginia Public Broadcasting's special screening of "Country Music: A Film by Ken Burns." For ticket information, go to wvpublic.org/countrymusic. Kathy Mattea was born in Kanawha County, West Virginia, and has enjoyed a career with highlights including two GRAMMY wins, four CMA Awards, four Number 1 country singles, and five gold albums as well as a platinum collection of her greatest hits. Mattea was inducted into the West Virginia Music Hall of Fame in 2011. A multi-instrumentalist, Charlie McCoy hails from Fayette County, West Virginia, and is one of the most prolific studio musicians of any genre. He has recorded 35 solo albums and his work has been on recordings by Roy Orbison, Bob Dylan, Dolly Parton, Simon and Garfunkel and George Jones. His autobiography "50 Cents and A Boxtop" was released in 2017. He was inducted into the West Virginia Music Hall of Fame in 2008 and the Country Music Hall of Fame in 2009. Funding for the documentary, a production of Florentine Films and WETA in Washington, D.C., was provided by Bank of America, the Annenberg Foundation, the Arthur Vining Davis Foundations, Belmont University, Tennessee Department of Tourist Development, the Metropolitan Government of Nashville and Davidson County, Rosalind P. Walter and by members of "The Better Angels Society," including The Blavatnik Family Foundation, the Schwartz/Reisman Foundation, the Pfeil Foundation, Diane and Hal Brierley, John and Catherine Debs, the Fullerton Family Charitable Fund, the Perry and Donna Golkin Family Foundation, Jay Alix and Una Jackman, Mercedes T. Bass, Fred and Donna Seigel, Gilchrist and Amy Berg, James R. Berdell Foundation, David Bonderman, Deborah P. and Jonathan T. Dawson, Senator Bill and Tracy Frist, Susan and David Kreisman, Rocco and Debby Landesman, Lillian Lovelace, John and Leslie McQuown, the Segal Family Foundation, Michelle Smith. Major funding was provided by the Corporation for Public Broadcasting and PBS.